5in1 Air-O-Space sofa bed is a perfect solution for creating more space in small living areas. Even it provides an unbeatable combination of modern style, value and practicality. And It can be used inside and out and on the water. The 5 in 1 Sofa Bed is the ultimate seating and sleeping solution that will provide you with more space in small living rooms and also give you a great place to sleep. Its attractive design adds a great look to any living room, bedroom, guest room, recreation room or any apartment. It is a sophisticated Sofa, Luxurious lounger A relaxed recliner, Children's high rise sleeper and a beautifully blissful bed. 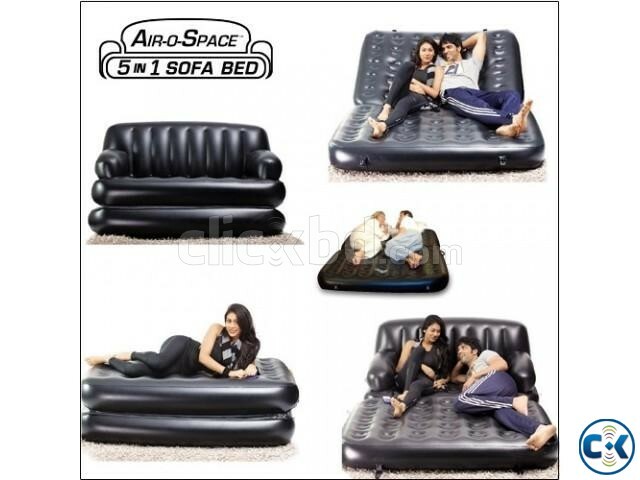 Why settle for just an inflatable queen size bed when you can have the 5 in 1 Sofa Bed. 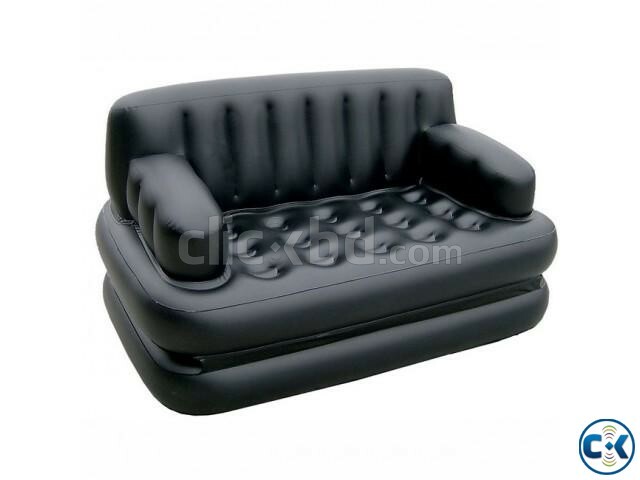 It is more than just an inflatable bed. 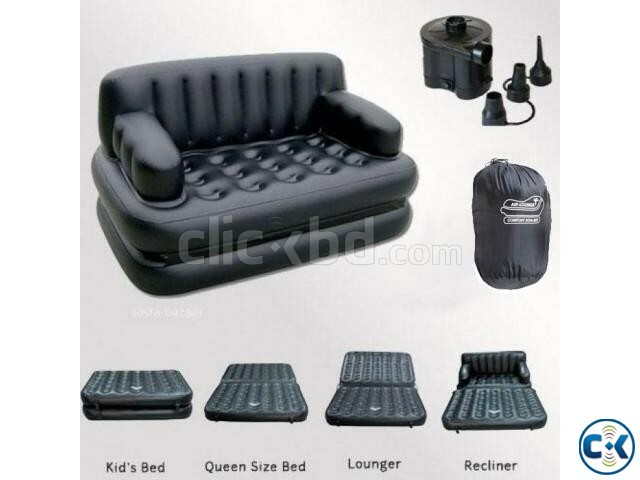 You can even use the 5 in 1 Sofa Bed outside around the house, camping, and even in the pool! It is made up of 3 sections; 2 base segments, connected by flexible tubes, holding them together and allowing air to flow between the two, and an upright (back rest/arm rest) section. So your pump can be used to inflate virtually any kind of inflatable. The high quality 3mm Rexine is used in making the 5 in 1 Air Sofa Bed. Beware Of The Duplicate Products. Replacement If Any Leakage Of Air, Only For Manufacturing Defects. No Replacement If Product Is MisHandled. Buyer Pay the Shipping Charge.